As more and more people experience the positive properties of CBD, manufacturers are developing more and more ways to consume CBD. 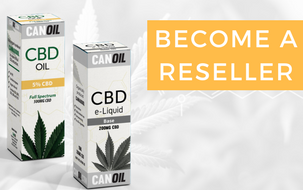 In this way it is also possible to use CBD daily in a simple and fast way in order to use CBD. an e-cigarette. When you vaporize CBD, the CBD will be absorbed directly through the lung vesicles and absorbed into your body faster. You will notice a direct difference and can adjust the dosage according to your needs. CBD Eliquids come in various flavours. It is precisely because of this that it will be pleasant to use CBD. Do you feel like one day in Fruitmix, the next day in Mint or the next day in strawberry? It will never stand against you. Operation remains the same. 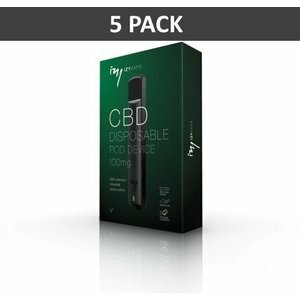 Because you achieve direct results with the vaporization of CBD, you can adjust the dosage perfectly to your body. Electric smoking, or vapour, has several advantages. This will give you less harmful substances indoors than if you were smoking a cigarette. The only thing that would still be harmful is the presence of nicotine in an e-liquid. Our CBD e-liquid contains no nicotine and is therefore not harmful. How do you use CBD E-liquid with E-cigarette? You can easily fill the E-cigarette filling tank with the E-liquid. When you turn on the e-cigarette, the liquid is heated. This will create vapour that you inhale. It is precisely because the liquid is heated and not burned that no harmful substances such as carbon or other harmful substances are produced. This vapour is then absorbed into the lungs by the lung vesicles. As a result, the vapour is absorbed directly into the body and you will notice immediate results. You can also easily adjust the dosage.